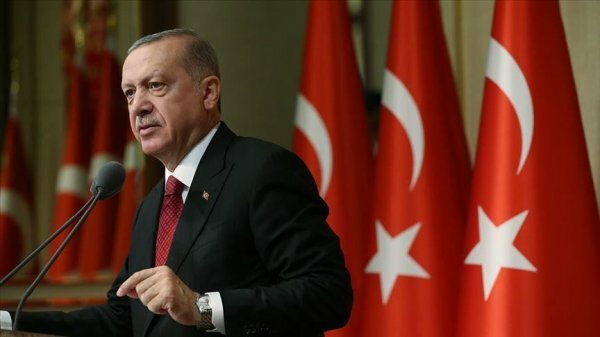 In a tweet, Erdoğan said the chemical attack on Kurdish-populated Iraqi city of Halabja is still a fresh "wound"
President Recep Tayyip Erdoğan on Saturday marked the 31st anniversary of the Halabja Massacre in which thousands of Kurds killed and injured. In a Twitter post, Erdoğan said the chemical attack on Kurdish-populated Iraqi city of Halabja is still a fresh "wound". "The wound opened in the conscience of humanity when thousands of civilians were killed by a chemical attack in Halabja 31 years ago maintains its freshness today," President Erdoğan said. 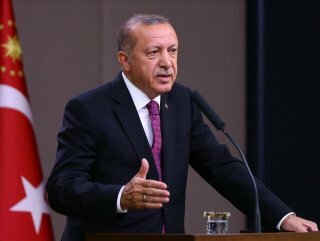 "I wish God's mercy for our Kurdish brothers who lost their lives in the Halabja Massacre which went down on history as a black mark," President Erdoğan added. On March 16, 1988, between 5,000 and 7,000 Kurds are estimated to have been killed during the Iran-Iraq war when forces loyal to Saddam Hussein dropped toxic Mustard and Sarin gases on Halabja. Thousands of others died of complications, illnesses and birth defects in the following years. Many Halabja residents still suffer the physical effects of the attacks.